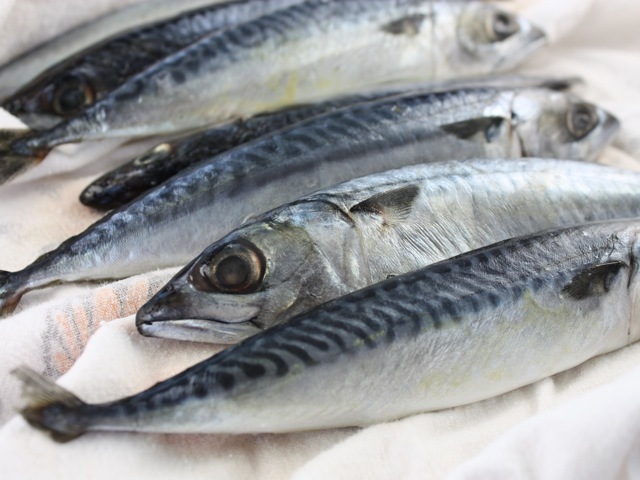 Mackerel tops pretty much all other fish when it comes to omega-3s. But there is a blessing and a curse to this fish: Many avoid it because its rich oils can create a "fishy" taste. So, in walks ginger. Not only does the ginger tame any off notes, you also get the benefits of this spicy herb. Ginger is loaded with a set of powerful anti-inflammatory compounds called gingerols that protect the brain from free radicals, prevent the plaques that cause Alzheimer's disease, and reduce arthritic pain. Coat the bottom of a glass ovenproof baking dish with olive oil. Rinse the fish fillets in water, then gently pat dry with paper towels. Place in the dish. Mix together the ginger, garlic, lemon juice, and salt. Cover the fillets with the mixture and let them sit for 10 minutes. Place under a broiler for 10 to 15 minutes, until the fish flakes.